I, too, like knitting socks. They are endlessly interesting with the lovely self-striping yarns available today. I’m curious about your short rows (which look pretty flawless) – do you use the wrap or non-wrap method? I can’t tell from the pictures. I’ve tired both and, for me, the non-wrap seems to work well. 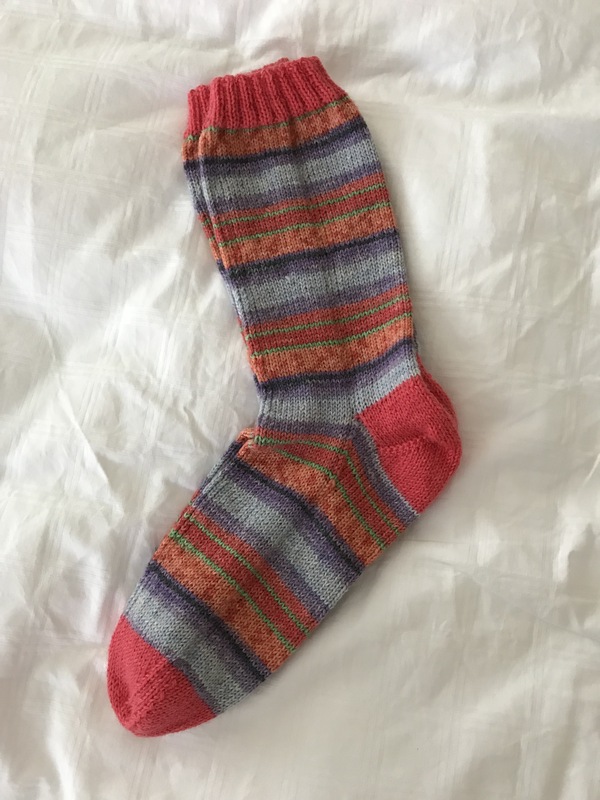 I confess I use sock knitting as a great excuse to watch television during ‘indoor season’ but I can’t do heals and watch TV or I end up with franken-heels. I wrap – it gives me a neater turn. I also put in a twist when picking up the gusset stitches on the sides of he heel flap – it keeps that join snug. And to make picking up the side stitches easy, I slip the first stitch for each row of the heel flap which gives me larger, easier to see and pick up stitches on the sides.